Over Christmas, shoppers reported a high number of Amazon phishing emails hitting their inboxes. Mainly targeting people in Europe and USA, the emails attempted to trick recipients into believing there was a problem with their recent order. They were encouraged to click on a link that took them to Amazon’s website – or at least a fake one make to look like the genuine article. The customer was then asked to type in their bank details to re-verify their account. If they did, their banking details were stolen and sent to a server controlled by the scammers. Amazon isn’t the only company used by scammers, and there are a few things you can bear in mind when receiving emails. Usually, most companies like Amazon won’t ask for personal information such as bank details, PINs or passwords. If you do get an email from a reputable company telling you your details or account have been compromised, check the sender’s email address. If it looks odd, it probably is. If you’re not sure, open your browser and check out the company’s website directly – never click on a link in an email. Call or email them through the site for confirmation before you do anything. Phishing emails like these are everywhere, so it pays to remain vigilant at all times. Education is a great way to prevent falling victim, but it never hurts to have another layer of protection too. You might be wondering why we used the word ‘free-ish’ in the title. Well, that’s because not all of the 8 are free, but they are still worth knowing about. This works with POP, IMAP, Gmail and AOL by downloading your email before it is delivered to you, remove the spam, and then deliver the good mail to you. It allows you to use CAPTCHA to verify senders, set up whitelists for individual emails or entire domains, customise verification emails, download lists that include a week’s spam and more. It’s free for single email accounts receiving less than 1,000 spam messages a week. There is a premium option available too. Apart from a really cool name, AlienCamel offers you unlimited email storage (IMAP and POP) on their servers and sorts your email for you into “Pending” and “Spam” folders so you can view everything before you download it to your system. It works with most of the popular email clients for both Windows and Mac OS X, and they are also currently testing an iPhone app. The service costs $8 USD a month, or $80 a year. After setting up a whitelist for your contacts, every person who emails you will get an automated CAPTCHA reply that they must respond to for their email to get through to you (only on their first email). All spam messages are held on the Spam Arrest servers for 7 days so you can see if there are any you want to let through. The service is $5.95 USD when paid monthly. This free service is a little awkward because you need two email addresses with your mail provider: Mail is delivered to the first address, passed on to Spamfence to check it for viruses and spam, and then the cleaned email is delivered to the second address. Using two spam detection engines, this one attempts to reduce the rate of false positives to make sure that email gets to the folder it truly belongs in. The system supports Microsoft Exchange 2000, 2003, 2007 and Lotus Domino, and offers a plethora of blacklists and whitelists based on criteria of your choosing. This one is for business and corporate users, Mailprotector tests each email for origination, routeing, construction, communication and content, and then assigns it a score based on the results. Fail the test, and it’s off to the spam folder. 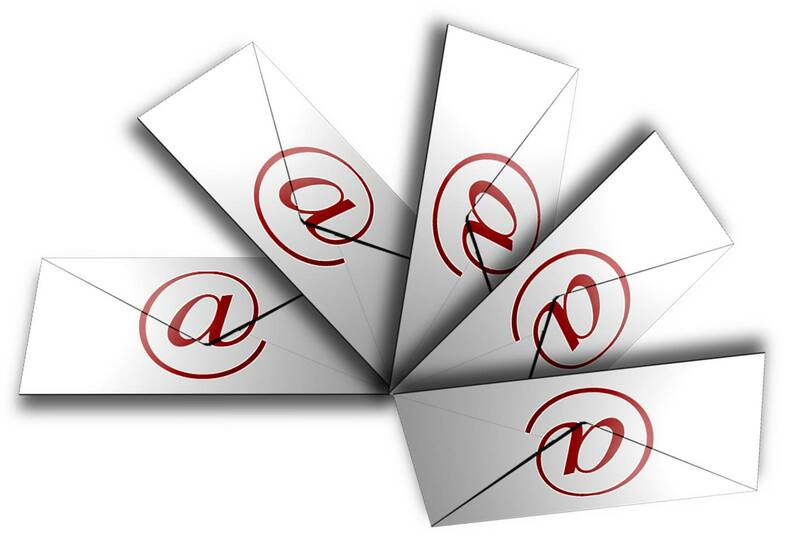 This versatile spam filtering system can be placed anywhere in the email stream to do its job. Due to this feature, it can work with a great number of email setups, including Gmail. It can be used on servers running Linux, Mac, Unix or Windows. SPAMFighter is an Exchange Module that will work with Microsoft Exchange Server 2000, 2003 and 2007 or Microsoft Small Business Server (SBS) to expunge your system of spam before it gets delivered. Besides just fighting spam, the system can also generate analytics to show you just how much email it is stopping, how many users are on the system, and more. Email spam has to be one of the most annoying things to have come from the internet age. 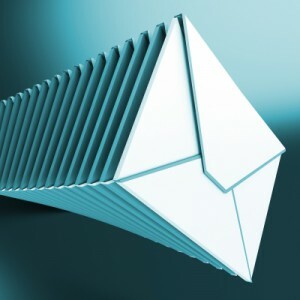 According to Kaspersky Lab it accounted for more than 59% of all email traffic in 2015. But it’s more than just a nuisance; dodgy URLs can lead to nasty viruses and data breaches because up to 41% of spam (according to Symantec) contains malicious links. Sp how can you stop it? Well, email software is getting better at detecting it, but as the spammers are getting more sophisticated creating genuine looking emails a lot slips past your email filters. You can no longer assume that DNS blacklists or sender ID-based anti-spam utilities will provide adequate protection. Malicious spammers are very good at spoofing communications from your favorite brands and services — like online stores, ticket agencies, financial institutions, and more — meaning that even relatively spam-wise users who aren’t particularly click-happy or gullible can still get tricked. Plus, because so many of us are online these days, spamming is quite profitable. But all is not lost. There are plenty of anti-spam tools out there. To help you beat the spam, here are four commercial ways to keep your data safe. On-premises anti-spam filters are great if you have a mail server onsite and the time and knowledge to manage it. This type of setup can be cost-effective and provides a lot of control, but you might have to manage your own filters and stay up to date on the latest tricks spammers use to defeat those filters, which might be a tall order in a time-strapped IT department. Anti-spam appliances are on-premises hardware (either standalone or as part of a unified threat management or next generation firewall system) that is typically easy to set up. You simply attach the device to the network between your router and mail server so it can inspect incoming messages. There’s no software or OS to install, however you will have to consider the cost implications and the fact that you have to fix or replace the hardware if it breaks. Hosted anti-spam services have become more popular in recent years. Just point your DNS MX records to your service provider, and in theory, they filter out spam before forwarding the useful mail on to you a few seconds later. The good news is that with a hosted service, spam doesn’t ever hit your network and you don’t have to worry about any hardware failures, software updates, or maintenance, since your provider takes care of all of it as part of a subscription. However, the solution is typically not under your direct control. Anti-spam as part of hosted email is not for everyone. That said, most hosted email services provide built-in spam protection that includes automatic filters managed by a dedicated support staff. With hosted email, you trust that your provider will adequately block spam, so there’s nothing for you to maintain on your end. You’re essentially outsourcing the fight against spam, potentially taking a burden off the IT department. You may have some limited control: for example many services let you flag spam that somehow gets through. Whichever option you go for, it’s also vital you train your staff to be vigilant. 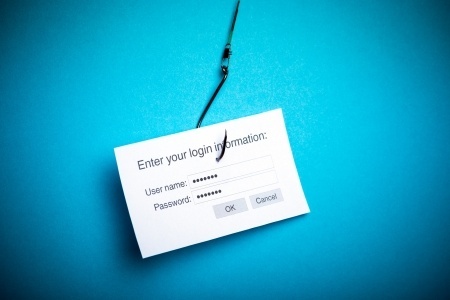 Anyone can be fooled by the increasingly sophisticated nature of spam emails, so your best defence against this threat is training and awareness. Spam is an every day occurrence. The fraudsters spend a lot of time honing their craft, developing devious spam messages that can trick even the toughest of spam filters. They prey on the innocent, gullible, tired and those feeling every so slightly under the weather who aren’t concentrating as much as they should. Once the word has got out about their latest scam, they devise even more cunning messages to try and trick even the most vigilant user to fall into their trap. You probably think you’re pretty good at spotting any that slip through your filters. In fact, you probably wonder how on earth anyone actually falls for their lame attempts at masquerading as HMRC, or whatever other guise they take. But, for the spammers to continue in their quest, it has to be worth their while. It’s estimated that for every million spam messages sent only 3 people fall into the spammers trap. On the face of it that doesn’t sound a particularly profitable ratio. But when you consider there are could be in the region of 100 billion spam messages sent every day, that means 300,000 people are duped. With figures like that spamming is unlikely to go away, which is why it’s important you remain vigilant when checking your email. 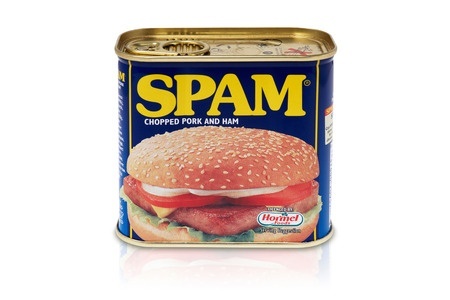 Anything that promises cheap items, get-rich-quick schemes or dodgy pictures is going to be spam. It’s easy to lose concentration when you’re tired or feeling under the weather, but don’t let that cloud your judgement. Remember, if it sounds too good to be true it probably is. Author itsupportbloggerPosted on August 20, 2014 Categories Email, online securityTags email spam, scams, spam, spammersLeave a comment on Why Does Spamming Exist? Are You Getting More Spam Mail Than Usual? What used to be a slight inconvenience with only a handful of emails slipping through the next has turned into a deluge of unwanted detox programmes, the latest ‘super’ food and Nigerian millionaires trying to temp you to respond or click on a link. Even the anti-spam experts are saying we’re all seeing far more spam mails than ever before. 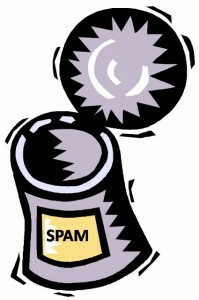 The reason behind this spam-fest is that spammers are outsmarting your spam filter. But all is not lost and there are a few things you can do to try and curb your daily avalanche. Any spam emails that do end up in your Bulk/Spam folder should be left there unopened. It can be emptied at any time. Never ever open a spam email and don’t try to unsubscribe or click on any link that’s contained within them. Just leave them be. Any slippery little suckers that manage to outsmart your spam filter should be marked as spam and their addresses places on your blocked list. That way, when more arrive (and they will), they’ll go straight to your Bulk/Spam folder. Curiosity killed the cat, it can also cause you to be buried alive under a pile of spam. Anything that’s the least bit suspicious should be deleted immediately. Don’t be tempted to open it because if you do, the spammers will realise yours is an active email address and will send you even more. It’s common sense, but worth repeating – only open emails that come from people you trust. Author itsupportbloggerPosted on June 4, 2014 Categories computer usage, EmailTags dealing with spam, spam emailLeave a comment on Are You Getting More Spam Mail Than Usual? Changing your email address can be a nightmare. Your old address is everywhere – in people’s address books, on old messages your friends have kept not to mention all those online sites where you’ve used your email as your user name when you created accounts. So, yes, changing your email address is a complete pain. But we’re here to help make the process slightly more bearable. The first think you need to do is find out how long you can keep your old one and at what cost. It is worth keeping it for a month or so to help mop up any accounts or friends you may have missed. Then set up your email client to receive messages from both accounts and, if possible, set up an auto responder to reply to any message coming in from the old address reminding them of your new one. When it comes to the websites where you’ve used your email as your user name, there’s no easy way round that one. So you’ll just have to track them all down and change your account information. Of course, if you’re in business, don’t forget to change your business cards, website, letter heads etc. Changing your email address is a pain, but hopefully the above tips will help you achieve a smooth transition. Every now and then you will have to change your Internet service provider (ISP), usually resulting in a change of email address. Although on the face of it not an insurmountable task, it can be a pain, so here are a few tips to help you easily make the switch and reduce the need for future switching. If you’re moving from, let’s say BT to Virgin, you may be tempted to start using your new Virgin address. There’s no problem with that, but what happens a few years down the line if you change ISP again? The best option is to start using a web-based email provider, like Gmail, that way you can use the same email address forever, regardless of how many times you change your ISP. Once you have your new email address, don’t cancel your old service straight away. Just think of all those online shop accounts you’ve set up. You’ll never remember all of them so keeping your account active for a few months should give you chance to catch all the important stuff you want to keep and move them to your new email address. Go through your address book and notify all friends, family and other important people of your new email address. Make sure you ask them to delete the old one to reduce the risk of someone using it in error. 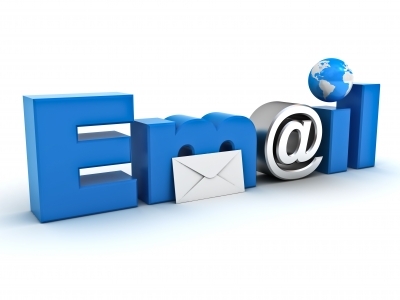 If possible, change the ‘reply to’ address in your old email account to show your new email address. That way, if you reply to an old email, the recipient will be able to respond using your new address, helping the transition. You may also be able to auto-forward emails that come into your old address to your new one. Not all providers will allow this, but if yours does it will make your life a lot easier. There you go, changing your email address doesn’t have to be difficult. These 5 simple steps will help make it as pain free as possible. My BT Yahoo Email Account’s Not Working – Help! Has your BT Yahoo email account stopped working? If it has, you’re not alone. Over the past few weeks, we’ve had a number of calls from people telling us that a Yahoo account, that has been working quite happily for years, has suddenly stopped working. It would appear that the problem was caused by hacking at the Yahoo server farm, which caused a lot of disruption. In fact so much that it was recently reported that BT has now dropped Yahoo as a supplier of this service. Well, BT has said that it will move its customers over to a new service called BT Mail, but as yet, no start date has been fixed. If you’ve been affected, the best option is to set yourself up another email account and let your contacts know your new address. Yes, we know, it’s not the most convenient cause of action, but right now it’s the best solution. Author itsupportbloggerPosted on July 3, 2013 January 28, 2014 Categories Email, IT TroubleshootingTags BT Yahoo mail problemsLeave a comment on My BT Yahoo Email Account’s Not Working – Help! These days there are a whole host of phishing emails doing the rounds and now there’s a new one about. A recent post on PCPro.co.uk warns of the latest scam to hit our in boxes. 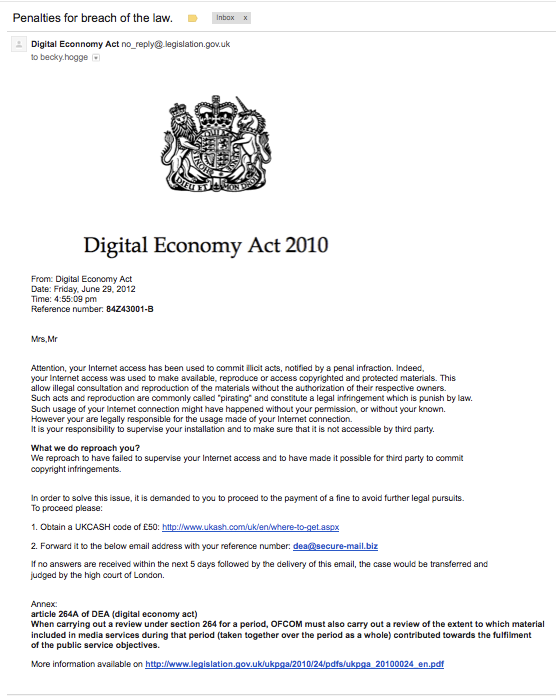 Just days after the UK Government outlined plans to introduce the Digital Economy Act (DEA), aimed at online piracy, phishing emails demanding money for breaches of copyright began doing the rounds. The Government intends to send at least 3 warning letters to people deemed to be downloading copyright material, but these emails demand immediate payment. An example of one of these emails was published by Becky Hogge, a writer and technologist who previously headed up the Open Rights Group. Sadly, there will always be people out there looking to make a quick buck by sending out this type of email. To keep yourself safe, remain vigilant at all times and if something seems a bit phishy it probably is.